Okay, I posted the donut for National Donut Day and then yesterday’s baked goods upgrade of the elegant French macarons. Today it is the fresh baked pies. 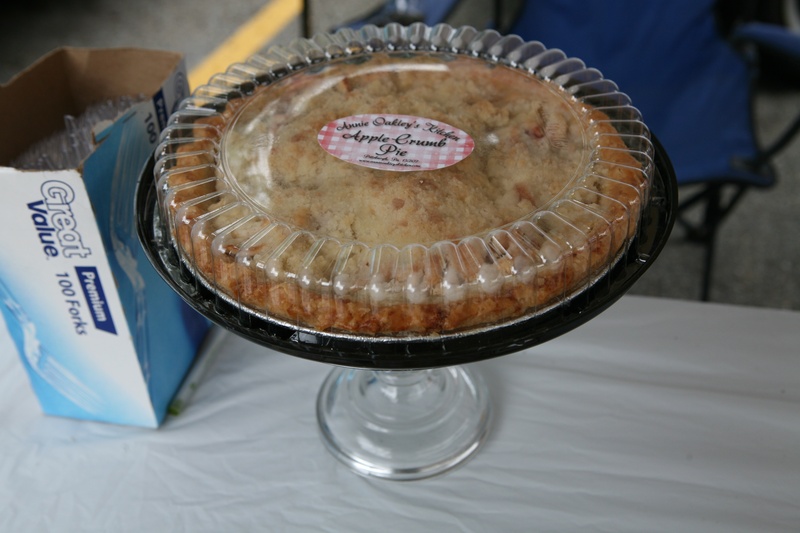 Fresh Baked Pies from Annie Oakley’s Kitchen that is! 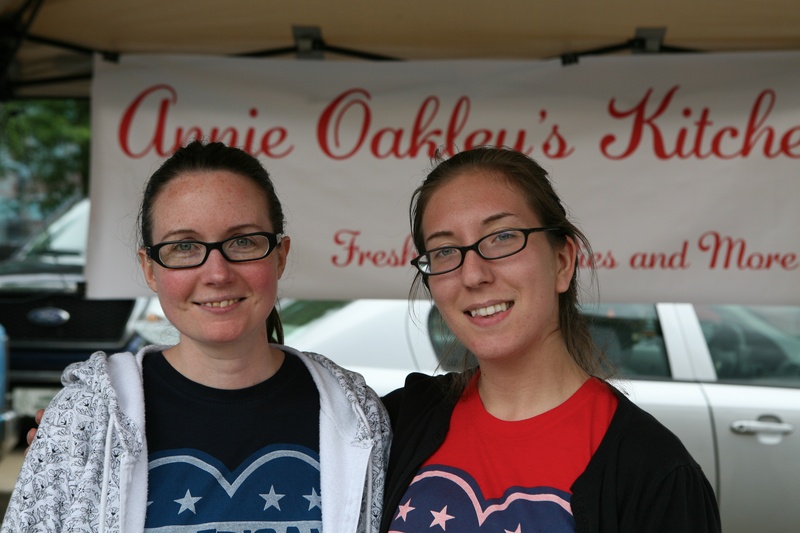 Meet Annie the owner of Annie Oakley’s Kitchen and her sister-in-law Christa, who is a pie apprentice. They were sporting company shirts and aprons and selling delicious looking pies at the South Side Farmer’s Market on Carson Street. I loved that they had a box of forks so you could dig right in after purchase. Annie the pie maker on the left and Christa (sister-in-law) the pie apprentice on the right. 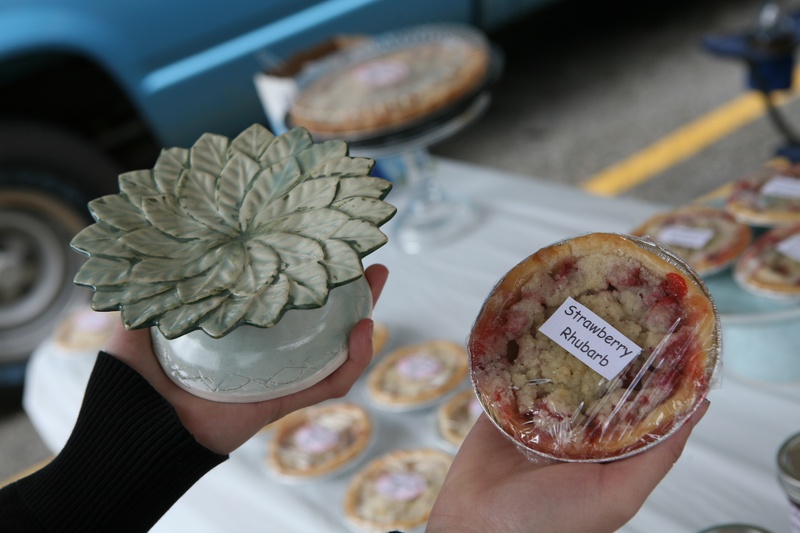 And Mom, Bryna, is the ceramicist who created the pie/cake stands for the display. 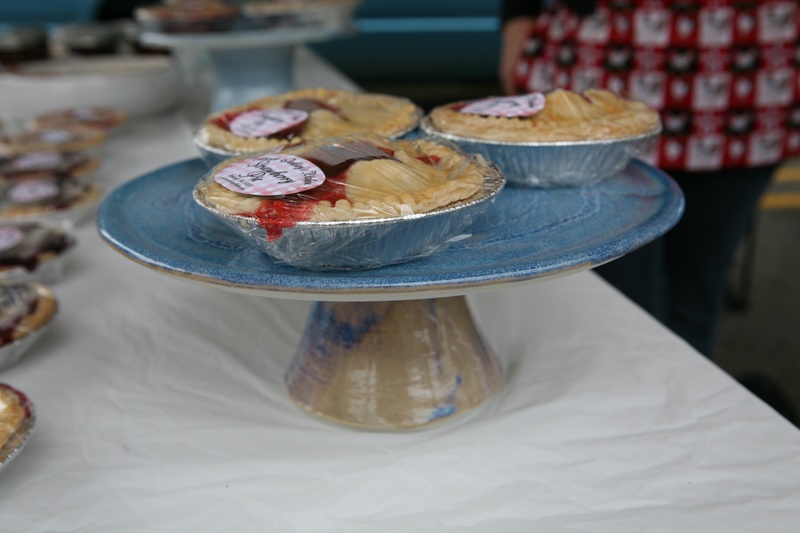 She also makes ceramic pie plates for sale. What a fun booth they had set up in the Farmer’s Market on Carson Street. They are at the Whitehall Farmer’s Market on Mondays. 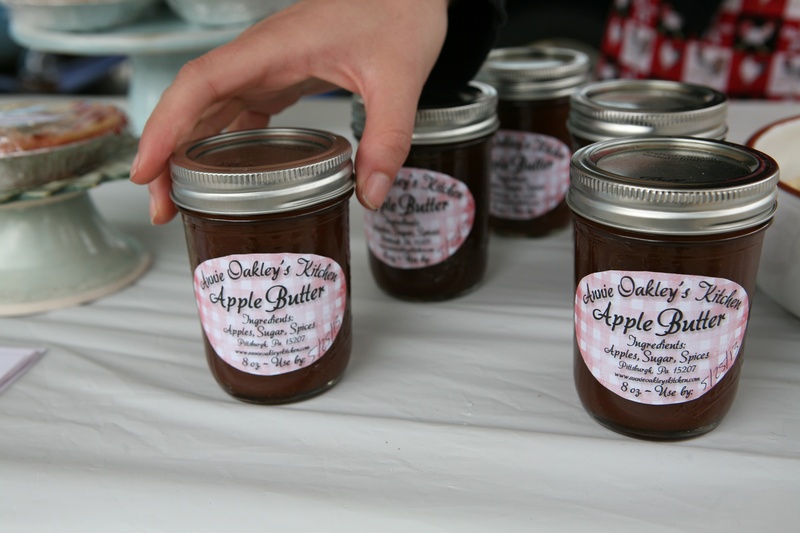 I sampled the apple butter which she sells on ETSY for just $4 a jar. 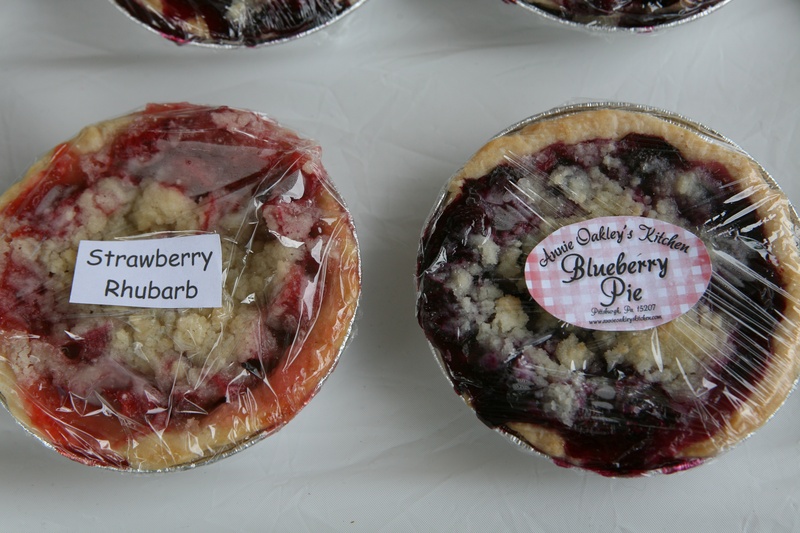 I bought two small strawberry rhubarb pies for $5 which was a sweet deal.